Willis Rodney Whitney once compared scientific research to a bridge being constructed by a builder who was fascinated by the construction of the problems involved. Basic research, he suggested, is such a bridge built wherever it strikes the builder’s fancy—wherever the construction problems seem to him to be most challenging. Applied research, on the other hand, is a bridge built where people are waiting to get across the river. The challenge to the builder’s ingenuity and skill, Whitney pointed out, can be as great in one case as the other. The metaphor could be applied to Whitney’s own career. There surely was never a builder more stimulated by the problems of his craft. As the “father of basic research in industry,” Whitney was living proof of the fact that the essential qualities that mark the great builders are the same wherever the “bridges” may happen to be built. In one sense, the whole endeavor that we know as modern industrial research—with its heavy emphasis on basic science—is a bridge that was largely built by Whitney at a time when there was precious little demand for it. The people at the water’s edge, by and large, could hardly see the river, much less any necessity for crossing it. To Whitney, however, the need was clear. When the opportunity presented itself, Whitney was teaching theoretical chemistry at the Massachusetts Institute of Technology. 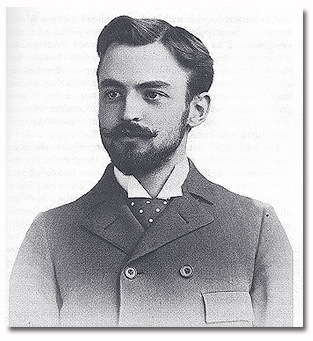 He had been born on August 22, 1868, at Jamestown, N.Y., the son of a furniture manufacturer, and had first looked into the world of science through a neighbor’s microscope while he was in high school. He had gone to the Massachusetts Institute of Technology intending to major in biology, but after some consideration he decided that he was more interested in chemistry. In 1890 he received his bachelor of science degree in this subject, after which he served as an instructor for four years. In 1896 he received his doctorate in chemistry from the University of Leipzig, and before returning to the United States he added six months’ study at the Sorbonne. He then returned to the faculty of M.I.T. where he soon established a reputation by his work in electrochemistry, proposing the now universally accepted electrochemical theory of corrosion. At this time, working with Professor A. A. Noyes, he also contributed to the development of the modern theory of solution. Academic life, with its combination of research and teaching, was so congenial to Whitney that he once declared that he would rather teach than be president. 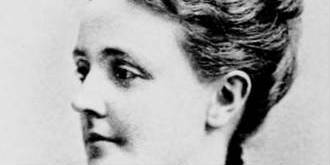 It was to this thirty-two-year-old teacher and experimenter that the General Electric Company turned in 1900 in search of a man who could establish and direct the first laboratory in American industry to be devoted primarily to basic research. The proposal was not one calculated to win instant acceptance. There was a long-standing prejudice in academic circles against industrial scientific work. The whole project, since it was an experiment, had an element of risk in it. In addition, Whitney had his doubts as to whether there would be enough challenging problems in the General Electric Company to hold his interest for a long period of time. 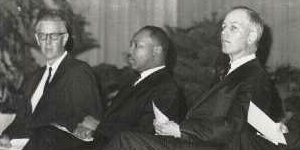 In order to resolve these difficulties, it was agreed that Whitney would begin the project on a part-time basis, spending half of his time at M.I.T. and the remainder with General Electric. Under this arrangement Whitney came to Schenectady, N.Y., in 1900 and set up shop, working with the great Dr. Charles Steinmetz in an old barn behind Steinmetz’s home, where they shared an assistant. A short time later the barn burned down and the new laboratory was moved to one of the buildings in the General Electric plant. After three years Whitney was ready to put an end to the part-time schedule and devote all his time and energy to directing the work of the growing laboratory staff. 1914. 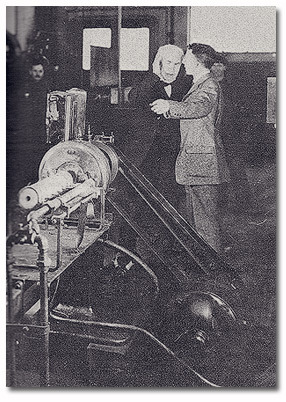 Coolidge explains to Edison how tungsten is made ductile by the apparatus in the foreground. The difference between scientists working alone and in concert was discussed at greater length by Whitney in a speech delivered at the fiftieth anniversary of the granting of M.I.T.’s charter. Aware as Whitney was of the benefits that were to be gained from men working together, he was just as aware that the essential ingredient in any major scientific achievement must be the exceptional individual. Whitney was notably successful in attracting such talent to the Research Laboratory at General Electric. Such men as Langmuir, Coolidge, Hull, and Dushman, among the many who joined his staff, need no introduction. In 1946, when Whitney was being presented with the Industrial Research Institute Medal award, Irving Langmuir spoke on “Whitney, the Man and Leader.” In the course of his remarks he described the manner in which he came to join the laboratory’s staff. “The way men were found for the laboratory is rather interesting. It was the custom to have a colloquium at the laboratory each Saturday afternoon. 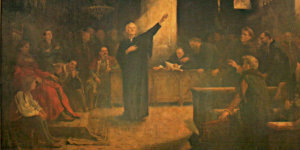 Generally a speaker was invited to spend the day at the laboratory, which brought the laboratory men into contact with a great many well-known scientists. Also at times it was the policy to invite young men to come to the laboratory who later might join the staff. I had been teaching qualitative and quantitative analysis at Stevens Institute for three years, giving lectures and taking charge of the laboratory work. Although I had gone to Stevens with the intention of devoting my life to scientific research, I had found no opportunity to get started—there was no time for any research work. During a meeting of the Electrochemical Society in Schenectady in the fall of 1908, the members were shown through the laboratory, and I was asked to lead one of the future colloquia. After the colloquium, arrangements were made for me to spend the summer vacation at the laboratory. 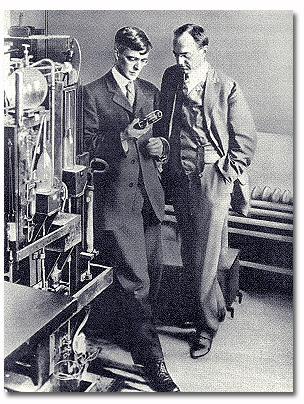 Irving Langmuir (left) shows Whitney one of his inventions, the Pliotron tube. ca. 1920. Some members of the staff came to the laboratory with the same mental reservations that Whitney himself had had when contemplating the change from the academic to the industrial science. It is an interesting comment on the nature of the laboratory that Whitney had established, and on Whitney’s own genius for administration, that these men soon lost their initial hesitancy and began to participate wholeheartedly in the unique experiment. Dr. Whitney wrote at one time that when Dr. Coolidge had joined the laboratory staff, he had experienced this sense of what might be called divided loyalties. “Well,” Whitney replied, “that’s not your worry, that’s mine. As long as you are doing something, finding out about high vacuum and tungsten filaments, and things that are related to work the Company is doing, why, we want to see that work go on.” Whitney assured Langmuir that somebody would make out a budget for the work, and that he need worry about it no longer. GE’s giants of technology in 1923. 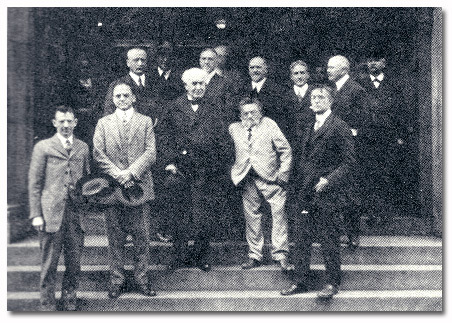 L-R, front, William D. Coolidge, Willis R. Whitney, Thomas A. Edison, Charles Proteus Steinmitz, Irving Langmuir. In the second row, second from right, is the president of GE, Gerard Swope. Whitney’s interest in providing his staff with the maximum amount of freedom included not only a willingness to allow them to devote themselves to problems of their own choice, in the expectation of “happy or interesting discoveries,” but also a desire to spare them the administrative formalities that so often accumulate in business—and, for that matter, in government and academic life. Whitney’s devotion to the principle of freedom of inquiry, like his impatience with time-consuming administrative details, was not based simply on a desire to provide his staff with a congenial atmosphere. It was, rather, based on his conviction that research unhampered by the exigencies of day-to-day crises was the surest path to major benefits for the sponsoring corporation. Whitney was convinced that, while relatively small gains could be achieved by attacking small problems, the real breakthroughs in science would come from the large-scale—and relatively unspecific—approach to the boundaries of man’s ignorance. To Whitney, the production of new knowledge was synonymous with experimentation. “I happen to be a kind of monkey,” he once said. “I have a monkey like curiosity that makes me want to feel, smell, and taste things which arouse my curiosity, then to take them apart. It was born in me. Not everybody is like that, but a scientific researchist should be. The stories of Whitney’s love for experimenting are legion. At one time he received a letter asking if insects could live in a vacuum. Finally Whitney set to work. He placed a fly and a cockroach in a bell jar and removed the air. The two insects promptly keeled over. After approximately two hours, however, when he gradually admitted air again, the cockroach waved its feelers and staggered to its feet. Before long, both the cockroach and the fly were back in action. 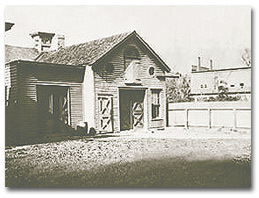 The carriage house behind the rooming house of GE chief engineer Charles Steinmetz was the first home of GE’s research laboratory. Occurrences that other men would have noted only with the most casual interest became for Whitney exciting opportunities to experiment. The Research Laboratory under Whitney addressed itself vigorously to the problem of producing new knowledge, whether “basic” or “applied,” and it did so with notable success. During the time Whitney headed General Electric research, a great many important scientific and practical achievements were attained. Fundamental studies of vacuum phenomena and incandescent solids provided important foundation stones for improved electric lighting and for the important new field of electronics. The same basic science made possible Coolidge’s development of the modern x-ray tube, and much later, Langmuir’s concept of atomic hydrogen welding. 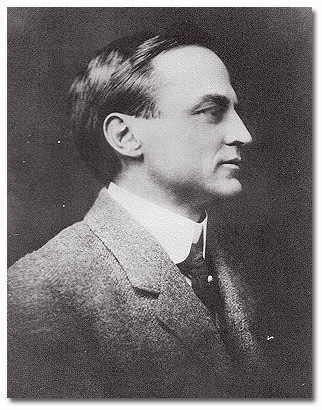 Whitney himself developed high-frequency heating for therapy, embodied in the device known as the Inductotherm, and was very active in the laboratory-wide submarine detection project of the First World War that led to the famous “C”-tube detector. It can be truthfully said that the many important accomplishments of Whitney and his associates in industrial scientific research have had a profound and beneficial effect on the lives of nearly all civilized people. 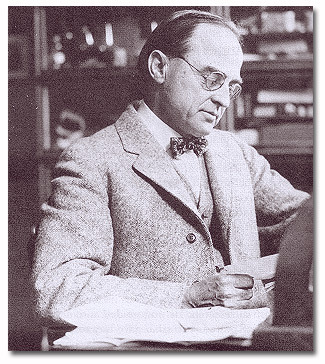 Whitney was the director of the laboratory from its founding in 1900 until 1932. During the last four years of this period he also served as vice-president in charge of research for the entire company. 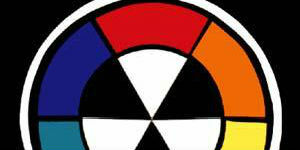 In 1932 he retired from directorship of the laboratory and was named an honorary vice-president of the company. The roll call of the honors that were given him is impressive, but Willis Whitney himself knew that the greatest prize that he could attain was the feeling that he had contributed to man’s understanding of the world around him. — By Guy Suits, Director of the General Electric Research Laboratory. Abridged from Biographical Memoirs, Volume 34, published for the National Academy of Sciences by Columbia University Press, 1960. 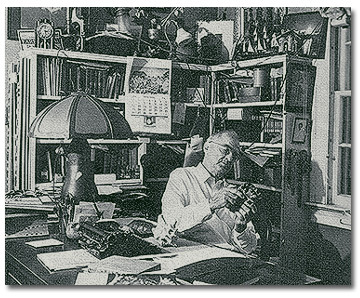 The economic depression of 1929 to 1932 adversely affected Whitney’s health and led to his formal retirement as director of the Research Lab. However as his strength returned this lab activity with GE continued for two more decades, until 1954. 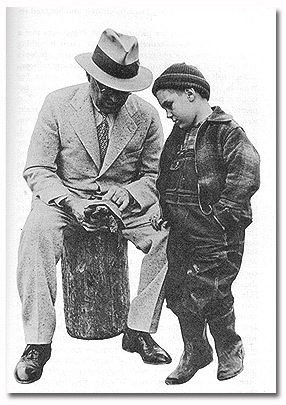 In 1937, when American Magazine did a story, a photographer came to his farm and took a celebrated picture of the reknowned scientist with a nine-year-old boy and a huge turtle. The religious seeker is for human welfare. The scientific spirit is the organized search for truth. Scientists from Newton to Galileo on have been subjected to all kinds of criticism by authoritarian religion. The dogmatic barriers to church affiliation that have kept innumerable men of science out of the churches are not found in the five bases of Unitarian Advance. The free church is a plausable instrument of moral progress worthy of the support of scientists. It allows for growth and change; scientists are changing all the time. I’m for experiment. An experiment is a thing you do when you don’t know the answer. Such work as the Unitarian Service Committee is doing has got to be done in order for us to reach the One World we want. It paves the way for good will! The liberal church can further the one great problem that we all face, that of establishing international peace. 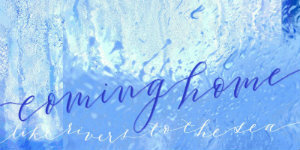 It will come slowly and by experimentation. How are we going to bring about international peace with people behaving the way we do? It must come about by thought that is based on human equality and that is international in scope. It will require education. The adults in the churches will cause trouble; adults are conservative. Religious training is another word for good will on a universal scale. There is no more important work than this. 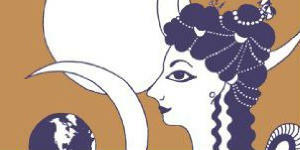 Experimental and co-operative good will, active in the promotion of world peace, is the principal thing now. — From the Christian Register, May 1946. Wise, George. Willis R. Whitney, General Electric and the Origins of U.S. Industrial Research . New York: Columbia University Press, 1985.